With winter in it deepest throes its nice to know that we are at least a bit closer to another glorious summer continuing to do what we do and like best. It’s not been so quiet here either with peoples boat repairs, sales of equipment, and a few kayak sales too. New stock will be ready to collect at the beginning of March, this time I have splashed out a bit on the stock boats, knowing that a lot of my customers are looking for that something special and unique all the new stock are just that, one offs, custom orders for stock, true they will cost a little more than the standard boats so its a gamble that I hope will pay off, and I will be able to repeat with the following order for May time. 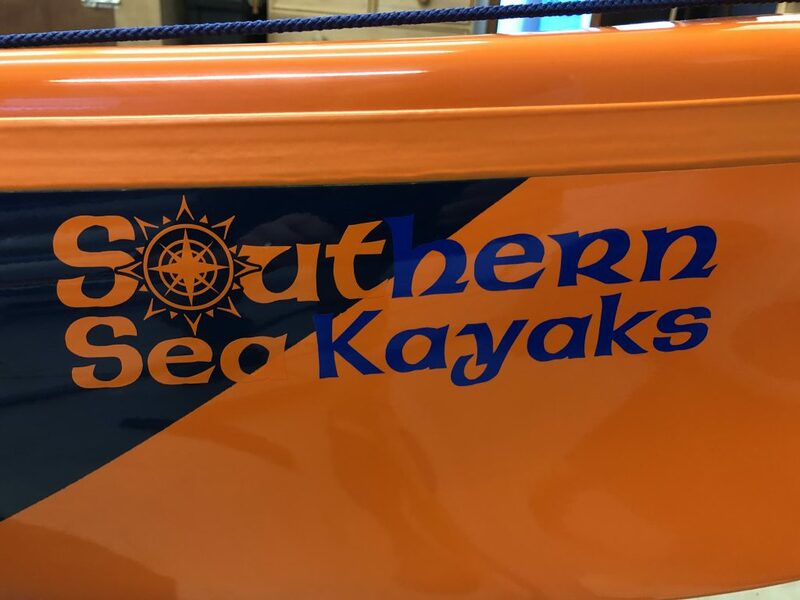 So if you’re looking for something special Southern Sea Kayaks is the place to go. I will continue to offer my customers free outfitting with any composite kayak and a free fitting kit for any plastic (Sportive/Sport) along with offers on Expedition trolleys or the little NDK trolley that is very popular or a discount on a Celtic paddle. 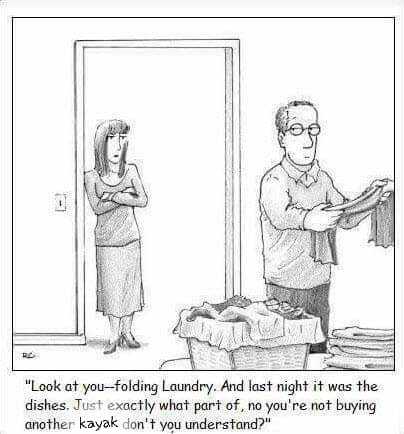 Always a free T Shirt! Another service I have started to offer is to cover the foredeck with helicopter tape/China paper (protective membrane) its not so easy to fit (it took me a few goes) and is quite expensive to buy but I am happy to do this for £30 inclusive if required. Lots of new things in stock, Bucket seats, Steve Whetman’s range of Sea Kayaking kit including the new Kraken Carabiner, looks can be deceiving but this really is a step up for the sea kayak world its so quick to use and totally maintenance free! The New KCS Expedition Trolley is now better than ever, wheel spacers are now fixed permanently to the frame and the plastic support leg is now alloy, it’s available from stock with 8 or 10″ wheels. For a short time (no doubt) I have some of the NDK trolleys in stock, Crazy expensive but built to last forever you will need to leave this in your will, and trust me your offspring will want it! With many more items available from our online store and more stock ready to go than ever before sales have increased. As yet I don’t have card payment facilities so if you order online I will send you an invoice for online bank transfer. Celtic Paddles are for sure growing in popularity and rightly so, 2018 saw sales rocket from 10-11 paddles to over 30, why are they so popular well come and try one and you’ll see, but basically they are designed to be less aggressive in the catch phase of your stroke so they are not wrenching at your fully extended joints, they have a longer power phase and are therefore much smother, for people who need or want more accurate placement for turning manoeuvres, bow rudders, draw, and sculling strokes they offer better control, simples! moreover many paddlers are telling me that their current popular paddle is wobbly on the spigot joint, if you think yours isn’t? try holding it upright in the middle and pushing it sharply backwards and forward, I have a large range in stock paddles to suit most, and always have a demo that you can take away and try. Its great being an NDK dealer as we always have something for everyone and the adjustments and outfitting options are endless, I take great pride in the service I give to my customers old and new, and have a lot more time than a busy store of sales driven inexperienced staff, so if you would like a no obligation look at our range, some sea kayaking advice or anything else sea kayak connected please don’t hesitate, feel free to give me a call.